Working across the life span we empower our clients and build their self-esteem, as well as give them the insight and tools needed to take control of their health and wellbeing. As a result, we aid them to maximise their health and achieve their full potential. Our mantra is ‘Be More’, as we believe that by enabling people to tap into their resources, gives them the opportunity to grow as individuals - regardless of their age, and past/current circumstances. 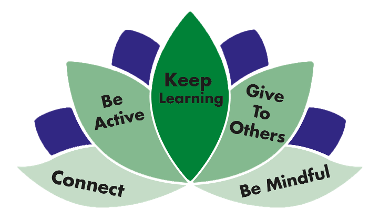 The foundation of our provision stems from positive psychology and wraps around the NHS five elements of wellbeing; Connecting with others, being active, continued learning, giving to others, and mindfulness. In support of these elements our staff and associates have expertise in positive psychology, psychotherapy, occupational therapy, and coaching interventions. All of our work is based on the most effective disciplines of health and personal development. All of our work is based on the most effective disciplines of health and personal development. Focus is given to individual strengths and facilitating skill-sets, aiding achievement and fulfilling potential, as well as promoting good mental and physical health.